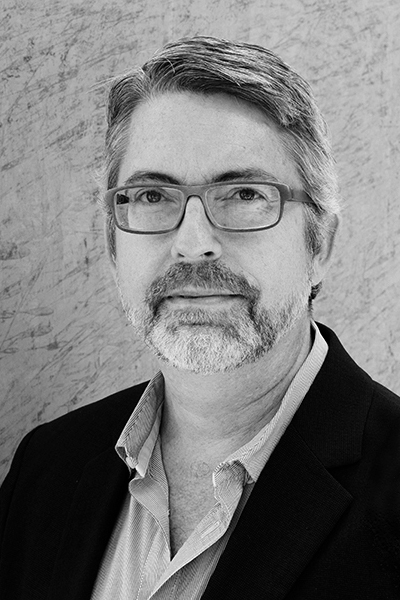 Eric Haas, AIA, LEED AP BD+C, is a Principal of DSH // architecture, an award-winning firm specializing in residential and educational projects but engaged in a range of design practices. His academic and professional interests range from design theory and urban histories to material research and tectonic systems. Haas led DSH’s rehabilitation of R.M. Schindler’s Bubeshko Apartments, a project that received numerous awards including a Design Honor Award from the AIA/Los Angeles and a Los Angeles Conservancy Preservation Award, as well as those from the AIA/California, the California Preservation Foundation, the Governor of California and the Los Angeles Business Council. While maintaining their custom residential work, DSH is currently engaged with projects for schools and non-profits, including the recently completed renovation of Welton Becket's 1955 New York Life office building to house a charter high school. As an adjunct faculty member at USC, he coordinates the 2nd year graduate comprehensive design studio, teaches the undergraduate degree project seminar and studio, and teaches an advanced building technology course. He curates USC's "Top Fuel" design-build workshops, where world-renown practitioners engage with students in an intensive one-week project exploring the intersection of design, construction and performance. DSH's work has been published in Dwell, Residential Architect, the Los Angeles Times, Competitions, and in several books, and exhibited both locally and internationally. Haas is active in the architectural community, lecturing, presenting at conferences, and participating on design juries at schools of architecture around Southern California. He received a Bachelor of Design with high honors from the University of Florida, studied at the Vicenza Institute of Architecture in Italy, and holds an M.Arch. from Harvard University’s Graduate School of Design.